Google announced to launch it in September 2016 but google taken the time to Officially Launch it to perform some tests and refinement to make this app comfortable for users . And finally now officially google launched beta version of Youtube Go.Youtube Go is known as lite version of Youtube app. * As in India , there are most problem related to speed of internet connectivity . So Youtube Go is optimized to use and watch video at lower connectivity.Now users can watch their favorite video also on lower speed connectivity easily. * In Youtube Go App we have to users have option to choose their language and hence users can use Youtube Go App in their own language. * Youtube Go has friendly homepage which has reconditiones ,trending videos,your liked and favorite videos and the video uploaded by subscribed channels. * Youtube Go similar to the landing page of regular Youtube app. * In Youtube Go App users can easily download and save their favorite video in their sd card and can watch anytime . Users can also preview the video before downloading . * Users have option to choose format of downloading . But to download the video max. video quality is only 640p . Users can not download the Hd (720 P - 1080 P) quality of videos. * Users can also share the video directly from Youtube Go App with their friends. 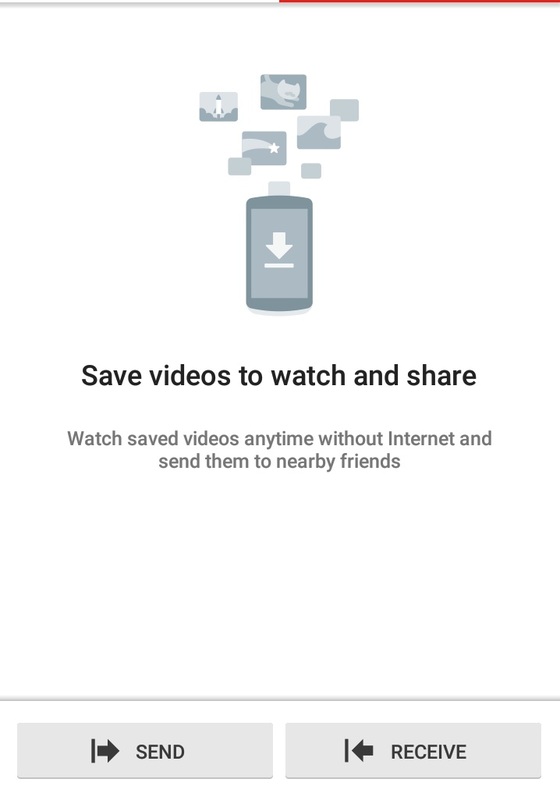 The new cool and awesome feature of Youtube Go is that ,it provide video sharing with friends without any data cost. Youtube Go uses wifi direct to share video and you need to turn on bluetooth to find friends via your phone. As Video shares directly from so your friend will also need to install Youtube Go. As the beta version Youtube Go is releases so the users have right use and check this app and provide their opinion to improve it.